Most scientific studies isolate minerals and vitamins from each other in order to study and market them. However, the natural proportions of Plant Derived Minerals created in Mother Nature’s laboratory synergise for the best digestion and balance possible. Most importantly, they are pure, 100% natural, plant digested and are the absolute best for the optimum health of both animals and people. You must give your body all the raw materials it requires to maintain and renew itself in order to achieve a healthy life. The raw materials so vital to your health can be challenging to find. Centuries of mining, farming, irrigation and acid rain have eroded life giving minerals from our soil. Mineral deficient soils are then used to grow and cultivate our food. 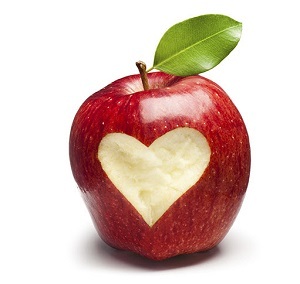 Because of this, our food is lacking in the essential plant minerals necessary to live a long and healthy life. It’s not surprising that when your body is robbed of essential plant minerals it is unable to repair, rebuild and protect itself against illness and disease. The shocking fact that millions are suffering around the world because of mineral depletion in the soils has been confirmed by THE WORLD HEALTH ORGANIZATION, The UK Ministry of Agriculture, UNICEF and The Royal Society of Chemistry. Even tests on USA soil show a massive 85% depletion !! This is devastating to health. 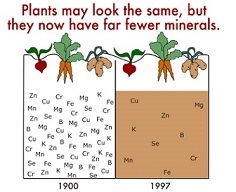 “We should be eating plant based minerals” – Dr. Carolyn Dean MD. ND. How many people are diagnosed and given drugs without the doctor asking how are your mineral levels? Why don’t the drugs work for so many conditions? Why are so many people seeing incredible results when they consume natural Plant Derived Minerals? What you must understand is that nature did not intend for you to eat soil, rocks or clay, have you tried it? Well if you buy mineral supplements or food fortified with minerals 9 times out of 10 you will be doing just that… and eating metallic minerals that your body does not understand and struggles to absorb. In fact if the levels of metallic minerals are high enough they can be toxic. Plants are supposed to digest metallic minerals NOT YOU. The plant digests the metallic minerals from the soil. The plant adds a hydrogen atom and completely changes the molecular structure of the metallic minerals. (The metallic minerals are transformed into ‘food state’ minerals). The human or animal eats the plants containing ‘Plant Derived Minerals’. The human or animal can absorb nearly 100% of the plant derived minerals that all the cells in the body need for them to work correctly. Soils globally are dramatically depleted of minerals, up to 85% loss. Modern food processing is stripping out minerals. Minerals you buy in shops are cheap, mainly metallic and ineffective with minimal absorption. The vitamins you are actually getting from food are basically useless in the absence of minerals. Plant Derived Minerals are truly the most efficient way to get your minerals. You can absorb almost 100% of them. Metallic Minerals are MASSIVE compared to Plant Derived Minerals. Plant Derived Minerals have a small particle size. To give you a comparison: a red blood cell is 7 microns. A Plant Derived Mineral particle is 0.01 micron (or less): that is 1/7000th the size of a red blood cell. Plant Derived Minerals move around in our bodies through our blood, and we store these minerals in our cells. The small size of Plant Derived Minerals is ideal. The negative charge means they are easily attracted and absorbed in the intestine. Currently, there are two types of mineral product on the market. First, there is the inorganic metallic mineral product which is a combination of rocks & clays (the cheap ones you find in shops) and second, there is the organic plant derived mineral product which consists of a combination of minerals derived from prehistoric plant material. Those inorganic metallic minerals consisting of rocks & clays, whether from plain inorganic sources or chelated inorganic sources, have an electromagnetic charge that is positive. The minerals from organic sources, consisting of plant derived minerals, have an electromagnetic charge that is negative. Whether the electromagnetic charge is positive or negative is a major factor that affects mineral availability and subsequent absorption: unfortunately, it is a factor about which very little is understood by manufacturers, consumers and health professionals alike. It is plants and their unique chemistry that are responsible for the conversion of a mineral’s electromagnetic charge from positive – found in rocks and clays, to negative – found in all plants. Minerals are absorbed by plants in their free positively-charged independent ionic state. A plant’s root hairs are the sites of absorption of nutrients from soil and water. Because of chemical processes in the plant during photosynthesis which involve chlorophyll, the positive electromagnetic charges on the minerals are changed to negative. their minerals by eating plants as opposed to rocks and dirt! All living cells – (the cells of the intestine are no exception) – produce an electrochemical gradient which is positive on the outside and negative on the inside due to the action of the sodium-potassium pump. There has been some question about this since some of the physiology textbooks state that the wall of the intestine is negatively charged. The covering of the intestinal wall, the endothelium, is, according to the textbooks, negatively charged due to the fuzzy coat of hyaluronic acid which is a mucopolysaccharide. However, this negative charge only occurs when the pH is 7 (neutrality). At a pH of 7, the carboxyl groups of glucuronic acid, a monosaccharide of hyaluronic acid, is completely ionised creating a negative charge at the intestinal wall. The problem with this theoretical explanation of why the intestinal wall may be negatively charged is that a pH of 7, neutrality, is simply incompatible with life! As living organisms, we have millions of chemical and enzymatic processes going on at all times. Our body fluids are, at any moment in time, at various points in the body: either a pH of more than 7 (alkaline) or a pH of less than 7 (acidic). At pH’s other than 7 (neutral), all living cells, as discussed above, produce an electrochemical gradient which is positive on the outside. Therefore, negatively charged plant derived minerals are attracted to a greater extent than their positively charged inorganic counterparts. The reason for the lower absorption percentage for inorganic metallic minerals, as compared with organic plant derived minerals can now be understood. It is due to the fact that these types of minerals, sourced from inorganic rocks and clay, whether chelated or not, have a positive charge. The intestinal wall has an extracellular charge which is positive. Like charges repel one another, thus impeding absorption. The positively charged intestinal wall attracts particles that are negatively charged. Since opposite charges attract there is a much greater absorption of plant derived minerals. Elemental (metallic) Minerals, that are not plant derived or positively ionised cannot be absorbed correctly, they can accumulate in joints and tissues causing toxicity and disease. “We all know 8 minerals are sufficient to raise large, red, juicy tomatoes, but many times if you were blindfolded while eating, you would have trouble identifying the tomatoes due to a lack of taste. The lack of taste is due to a lack of minerals which causes a lack of Brix. Soil depletion is the only reason today’s plants contain no more than 16 to 20 minerals, on average, compared to at least 75 minerals millions of years ago. “Millions of years ago the soil near the earth’s surface, where our plants are grown, was saturated with dozens of minerals. At least 84 minerals were available nearly everywhere and some areas of the planet did contain 100 minerals. The plants of prehistoric times were rich in minerals because there was an abundant supply for them to feed upon from the soil. When a plant grows it draws available minerals from the soil. We now know the mineral content of plants has been severely altered throughout the last several million years and drastically altered during the last 100 years. “When man began to till the soil, wind and rain erosion began to take its toll along with continuous cropping which gradually caused the soils to lack minerals. In fact, this can result in ‘dead fields’ where NOTHING will grow, farmers then need to scatter fertilizer (minerals) on the soil. Mineral depletion also compromises a plant’s immune system so it has weakened defences. This results in the need for carcinogenic pesticides. “What a sad state of affairs we have gotten ourselves into”. “According to research in the animal husbandry field and The National Science Foundation, animals require at least 45 minerals, 12 essential amino acids, 16 vitamins, and 3 essential fatty acids. According to Gary Price Todd, M.D., the human body requires at least 60 minerals for optimal health and basically the same other essentials as animals. All over the world now, our soils are mineral deficient because of the extended use of fertilizers and “maximum yield” mass farming methods. Do your research on plant derived minerals and find a good reputable company to provide them for you. As you meet people, talk to them and read about people’s health successes after regularly consuming Plant Derived Minerals you will soon realise they are ESSENTIAL FOR HEALTH AND LONGEVITY. The finest, organic, plant derived minerals available are mined from a seam of prehistoric vegetation in the USA, sealed under a sandstone cap preserved from pollution and contaminants. This is 70-million-year old plant matter bursting with the same natural minerals eaten by the dinosaurs. The Health giving results of consuming Plant Derived Minerals can be mind blowing. I guarantee there will be occasions when you are moved to tears after seeing someone alleviated of pain and suffering, sometimes after years of searching main stream methods for an answer. The answer to the majority of health problems has been with us all along. Now YOU know the secret, join us in our passionate mission to educate the world.